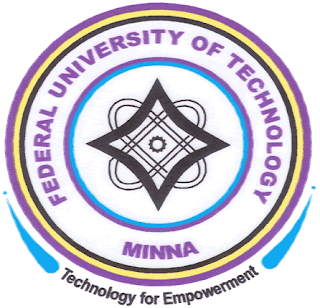 The Federal University of Technology, Minna [FUTMINNA] Postgraduate [PhD/ Master/PGD Programmes] Admission Form On Sale for 2018/2019 Academic Session. Applications are invited from suitably qualified candidates for admission into the Federal University of Technology, Minna (FUTMINNA) postgraduate programmes for the 2018/2019 academic session. The Master Degree programmes are expected to last a minimum of three Semesters for full-time students and there is no part time for Master’s degree programmes. The maximum allowable periods of studies shall be six semesters for full-time, subject to passing all courses at the end of each semester and maintaining a CGPA of 2.5 at the end of the course-work programme. Failure to meet this requirement will result in withdrawal from the programme. Please note that any candidate with PASS grade at either OND or HND does not qualify for admission. Generally, Full-time Students are expected to graduate normally after Three Semesters on successful completion of their programmes, subject to maintaining a minimum CGPA of 1.50 in any semester. A candidate applying for Postgraduate Studies in the Federal University of Technology, Minna must have obtained five (5) Credits in WAEC, NECO, NABTEB and GCE (O’Level) or their equivalents including English Language and Mathematics at not more than two sittings. No admission shall be made on the basis of any awaiting results and no exemption is made for admission into any programme. Candidates for admission for any of PhD Programme shall be Master Degree graduates of the Federal University of Technology, Minna or any other University recognized by the Senate or holders of equivalent qualifications acceptable to the University Senate(Not professional masters). A Master Degree holder applying for PhD Programme of the University must have maintained a weighted score average of 60% or a ‘B’ grade or a CGPA of 3.50 out of 5.00 in overall performance in the Master Degree programme. Appropriate courses may be prescribed for candidates whose background is considered weak for the areas of specialization. This is done at the discretion of the School/Department within the approved general regulations/guidelines of the Postgraduate School. A Minimum of Second Class Honours (Lower Division) degree from Federal University of Technology, Minna or any other recognized University. A Third Class Honours Degree with at least 3 years graduation experience in relevant fields may be considered. In some areas, passing a qualifying examination to be administered by the Department of the candidates, in consultation with the Postgraduate School, may be required. Candidates with HND with a minimum of Lower Credit, OND Lower Credit and a Postgraduate Diploma in relevant field with, at least a minimum of Lower Credit and one year graduation experience may be considered. For avoidance of doubt, candidates with PASS grade at any level Degree, PGD, HND and OND do not qualify for admission to the PhD/ Master/PGD Programmes. No Diploma candidate with CGPA less than 2.50 qualifies for admission into the Master Degree Programmes. Where examination is required as in the case of (ii) and (iii) above, an examination fee of N2000.00 will be charged outside the cost of Postgraduate application forms. In all cases of admission the final decision on qualified candidates rests with the Postgraduate School Board. Candidates with Science-based background are normally considered. All Master Degree Programmes require course work components in addition to research work components. There is no exemption. A Thesis must be defended and submitted for a student to qualify and graduate. i. First degree in relevant areas from any recognised university. ii. Candidates with a minimum of Lower Credit at HND level are eligible for admission. iii. Candidates with PASS grade are not eligible for admission. Applications will be accessible as from 14th May, 2018. All requested information on the online application must be correctly, and accurately provided with current and active email addresses and phone numbers. Completed application forms must be submitted online through the University portal latest on 31st August, 2018. All necessary instructions on filling of form must be adhered to and failure to do so is sufficient ground to disqualify an applicant. Completed application forms must be printed out as they would be requested for during registration, on successful admission. before the processing of admission. Official transcripts could also be sent through our Email (pgs@futminna.edu.ng) to be uploaded before processing of admission. It is the responsibility of each candidate to ensure that the online referee reports are duly filled and submitted by the respective referees before the closing date. (Minimum of two (2) referees must be submitted on line). All certificates must be uploaded in their original form and in colour. University charges an application fee of Ten thousand naira (N10,000.00) plus, Two hundred and fifty naira (N250.00) Remita charge making a total of ten thousand two hundred and fifty naira (N10,250.00) payable online via the Remita platform with the use of Master or Verve card through the School portal. All successful applicants offered provisional admission must undergo the following registration formalities: screening, payment of fees, and registration. This shall be completed within a stipulated date beyond which the candidate loses the admission.